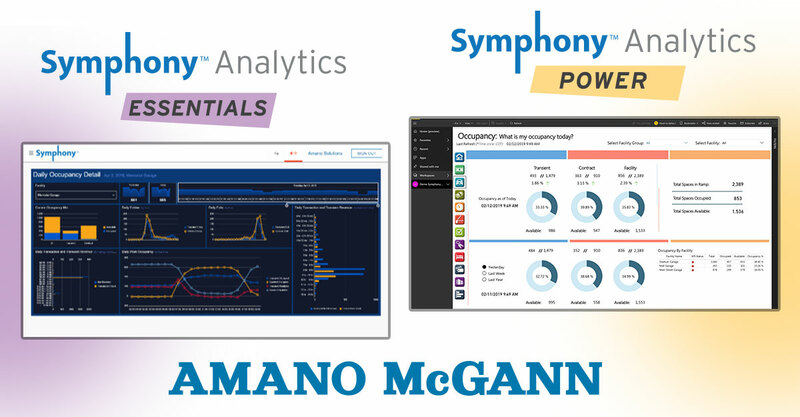 April 11, 2019 – Roseville, Minnesota – Amano McGann, a leader in the parking industry, is pleased to introduce Symphony Analytics Essentials and Symphony Analytics Power. These Software as a Service (SaaS) solutions deliver dynamic insight into customers’ parking operations, from any device, anywhere, anytime. Users interface with Essentials and Power via smartphones, tablets, and/or web browsers and streaming data provides near-real-time insights which facilitate informed business decisions. With device-agnostic, multi-tenancy capability, owners and operators can interact with their data from off-street, on-street, valet and other systems, all in one place. Symphony Analytics Essentials delivers an enhanced user experience with easy to use charts and reports that illustrate key metrics. Essentials’ consolidated dashboards and reports provide the ability to filter and concentrate information to get relevant data views. Symphony Analytics Power expands upon the features and functionality of Essentials. Harnessing Power BI, Power gives you the tools to isolate important data to see a snapshot of how your operation is trending against your budget and other key performance indicators. The program generates intuitive, interactive visualizations of your data to provide complete visibility of current and historical data with filters for daily, weekly, yearly, and custom period views. “With the right information at the right time, which is always right now, owners and operators can make informed decisions about their operations to increase their facility’s profitability,” said Amano McGann Vice President of Marketing and Business Development, Bryan Blackwell. 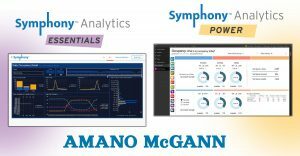 Symphony Analytics Essentials and Symphony Analytics Power are now available from Amano McGann. Call 612-524-6224 to be connected with an Amano McGann Representative near you.